The principle that animates this cherished amendment is a conservative one. It suggests that the best government is the one closest to the people. I can go into a coffee shop here in Des Moines and run into City Council members, State Senators, and School Board members and chat with them about important issues facing our community and state. I can attend Mass at the Catholic Church across town and run into the Governor of Iowa and discuss the issues of the day. All of these things have happened to me. I have a real voice close to home. I don’t mind state and local taxes as much as federal, because I see them at work every day in practical ways. The Founders wrote the Tenth Amendment with the understanding that government close to the people is better than an all-powerful federal government far removed from the people it governs. The principle of federalism is balanced by this last amendment in the Bill of Rights. It spells out a limited number of powers to the federal government. As a rule, Republicans embrace the Tenth Amendment at the same time that Democrats have ignored and gutted it. Thanks to the liberals who dominate many large cities in this country, we have a prime opportunity to strengthen the principles of federalism for years to come. The mayors of “sanctuary” cities are defying federal immigration laws and withholding info from U.S. Immigration and Customs Enforcement. The Supreme Court ruled a few years back that the Feds can’t force state and local governments to enforce federal laws. Conservatives backed the decision then. It seems as if these cities are within their rights. By the same token, it seems as if the Trump administration is within their rights to withhold federal funds if these locales don’t play ball with the Feds. Republicans dominate state houses around the country. When they lose power in Washington, which they will eventually, it doesn’t hurt conservative causes as much as long as we have an operational Tenth Amendment. 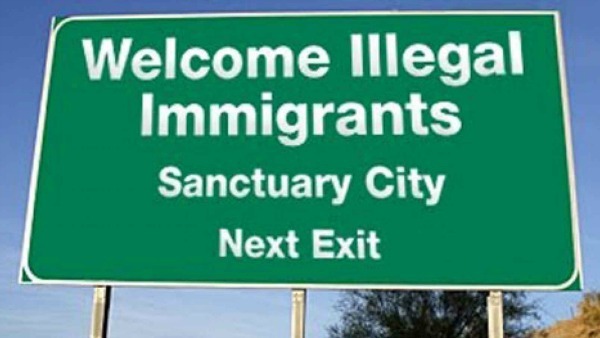 Democrats are actually strengthening this critical amendment with their misguided embrace of sanctuary cities. This is a long term victory for limited government.